Gain the Agile Step Ability, seen below. Scratch becomes Shifted to the Ice Type. Gain the Cryokinesis Capability, seen below. When used in a water-heavy environment, gain +3 points. In icy terrain, gain +6. Blocking Terrain created in this way has 10 HP, 5 DR, and takes damage as an Ice-Type. Slow and Rough Terrain counts as Tundra Terrain. Gain 2 Ranks in Focus, 1 Rank in Perception, 1 Rank in Combat. Gain the Encroaching Ice Ability, shown below, in place of Pickpocket. Ice Hazard: Slow Tundra Terrain and it is considered to be Hailing in this area. All non-Ice Ranged Moves take a -2 Penalty when used through a square containing an Ice Hazard. If a Fire-Type Move targets a square (or a target in a square) with Ice Hazard in them, the Ice Hazards are destroyed. Ice Pick Freezes on 18+, but is now EoT. Through Marcus' assistance and Hero's instruction, Quicksilver has gained the ability to create sculptures. For Quicksilver may create a Sculpture as an Extended Action, including any upgrades in his creation as seen below and following the below constraints. Small Sculptures costs 1,000, Medium Sculptures cost 2,000, and Large Sculptures cost 3,000. Sculptures are given stats and treated much like Pokémon are. 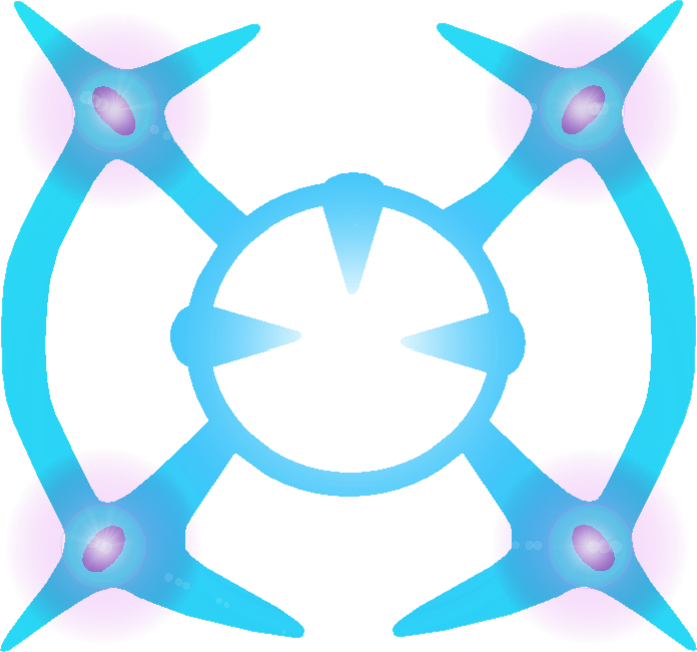 Sculptures can make Struggle Attacks and can also perform and be affected by Combat Maneuvers if their structure allows for it, but they never add STAB to any attacks they make. Sculptures can gain Injuries but are immune to all Status Effects except for Burn, Frozen, Paralysis, Disabled, Suppressed, Trapped, Slowed and Flinch. Sculptures are Typeless and Genderless and take Super-Effective damage from Fire, Rock and Steel Moves. Sculptures are capable of using most Held Items, though not consumables. All Sculptures are treated as if they have the Refrigerate Ability, as well as Naturewalk (Tundra). Small Sculptures begin with 32 total base stats, distributed as you like, with a maximum of 6 in a given stat. Medium Sculptures begin with 40 total base stats, distributed as you like, with a maximum of 8 in a given stat. Large Sculptures begin with 48 total base stats, distributed as you like, with a maximum of 10 in a given stat. Sculptures are created at a level equal to half of Quicksilver's, but may be granted additional levels buy purchasing EXP at a 1:1 rate. Small Sculptures have Overland 6, Power 1, and Jump 0/0. Their size is Small, and they are Weight Class 1. They have 4 skill ranks to split between Athletics and Combat, 6 to split between Acrobatics and Stealth, and no Perception or Focus ranks by default. Medium Sculptures have Overland 5, Power 3, and Jump 1/1. Their size is Medium, and they are Weight Class 3. They have 5 skill ranks to split between Athletics and Combat, 5 to split between Acrobatics and Stealth, and no Perception or Focus ranks by default. Large Sculptures have Overland 4, Power 5, and Jump 1/1. Their size is Large, and they are Weight Class 5. They have 6 skill ranks to split between Athletics and Combat, 4 to split between Acrobatics and Stealth, and no Perception or Focus ranks by default. All Sculptures have the Hazard Immunity, Vacuum Immunity, and Mindlock capabilities by default. Sculptures can have any Home Gravity and have Gravitic Tolerance for one step to each side of that value. A Sculptures can be restored to its full Hit Points by Quicksilver repairing it over the time period of an Extended Rest. However, Sculptures may only have 1 Injury removed per repair period, unless an Ice Gem is expended, in which case they may have up to 3 removed. If a Sculptures reaches -200% Hit Points, it is completely destroyed, although any items used in its creation are retained. Sculpture may be designed to specifically imitate a Pokémon species. In this case, it is usually obvious upon seeing the Sculpture, except in the case of some Ice Type Pokémon, that it is an imitation. All Sculptures are to communicate telepathically with Quicksilver within his control radius, can be located by Quicksilver at any time, and have basic intelligence that allows them to carry out orders given by Quicksilver. Sculptures have a certain level of intelligence, as defined below. 1: The Sculpture may follow specific direct commands, but does not function without Quicksilver's direct control. 2: The Sculpture may follow complex direct commands, but without Quicksilver's control can only follow simple commands such as "attack" or "guard." 3: The Sculpture can follow complex commands without Quicksilver present, such as ones that require complex conditional statements. 4: The Sculpture can follow complex commands without Quicksilver present that require a large amount of knowledge and highly complex conditional statements. 5: The Sculpture is programmed well enough to essentially be capable of independent thought. Effect: The Sculpture learns any two of the following Moves - Scratch, Tackle, Take Down, and Sharpen. A Sculpture may have this Part installed multiple times, choosing different Moves each time. Effect: Choose one of the following effects. A Sculpture may have this Part installed multiple times, choosing a different effect each time. The Sculpture gains +4 to all Movement Speeds. The Sculpture gains the Levitate Ability and a Sky Speed of 2. The Sculpture gains a Swim speed equal to half its Overland speed. The Sculpture gains the Stealth and Dead Silent capabilities. Effect: The Sculpture learns any two of the following Moves - Body Slam, Slash, Lock-On, and Screech. A Sculpture may have this Part installed multiple times, choosing different Moves each time. The Sculpture gains 3 Skill Ranks to distribute as you choose. You may select this option twice. The Sculpture gains the Cryokinetic Capability. Use Combat in place of Focus to determine the Sculpture's weight limits.